According to research from CBRE, 72 per cent of millennials say that buying a home means sacrificing lifestyle. Many first-time buyers are finding they are increasingly priced out of London, having to compromise on either affordability or location. 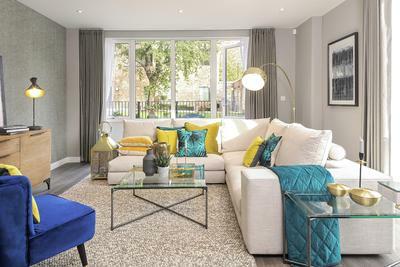 Providing some of the best value and best-connected homes in West London, Countryside currently has a selection of one-bedroom apartments available at Acton Gardens, W3, offering incentives to help get home buyers onto the property ladder. The contemporary one-bedroom apartments at Acton Gardens are ideal for first time buyers looking for excellent connectivity into Central London, reaching Bond Street and Waterloo in less than 30 minutes, whilst also getting more for their money. For a limited time only, Countryside is providing paid TfL travel for three years on all one-bedroom homes, as well as offering the London Help to Buy scheme and paying the full stamp duty amount, making these homes first time buyer friendly. The apartments at Acton Gardens have been thoughtfully designed to suit the modern-day lifestyle, boasting flexible, open plan living spaces. Kitchens are contemporary with individually designed featuring handleless base, tall and wall units in a grey, soft touch finish. Appliances include a Siemens electric oven, microwave oven, four zone hob, integrated fridge/freezer, dishwasher and a free standing washing machine/tumble drier located in the hallway. Master bedrooms are generously sized, featuring fitted wardrobes with parted mirrored sliding doors, providing ample storage space. Expected for completion in 2026, Acton Gardens is an ambitious £600m project, creating 2,500 brand new homes, and new community facilities, encompassing 52 acres. The development is forming a new community in Acton, designed to connect to surrounding neighbourhoods through a range of new walking routes. A Central Plaza is also being created, offering a focal point within the new community, featuring new health and leisure facilities, including a GP and dentist surgery, as well as a supermarket, café, nursery and a community centre. South Acton station, on the London Overground, and Acton Town underground station, for the Piccadilly and District Lines are both adjoining the development. Residents can also gain easy access to Acton Main Line Station, which will benefit from becoming a station on the Crossrail line when it opens in 2019. Nearby Chiswick High Street offers an exciting range of designer boutiques, good pubs and restaurants, whilst the Westfield regional shopping centre at White City is only 20 minutes away by tube. 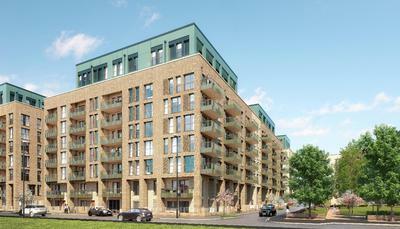 Prices for a one-bedroom apartment start from £445,000, with the London Help to Buy scheme available. A range of two bedroom apartments are also available with London Help to Buy with prices from £547,500 and three-bedroom duplex homes start from £730,000. For more information visit actongardens.co.uk.